A unique and captivating novel by a member of the Xtreme Team, who risk their lives and endure unthinkable physical deprivation while assisting native people in the most remote areas of the world. This novel has been written out of the rich background of that experience. It is evident the author has been there! 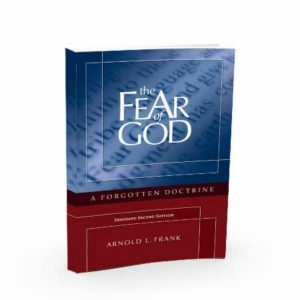 He unlocks the secret of how to begin life anew, as the book’s central character moves from a depressing, directionless life to a rewarding and incomparable adventure, discovering the ultimate meaning in life through trials and tragedy. One warning: do not start reading until you have some time because you won’t put it down. Jonathan Williams served as a missionary with the International Mission Board’s Xtreme Team in the jungles of Peru for two years. It was there, lying under a mosquito net in a hut in the middle of the Amazon Jungle, that Williams began to write his first novel, Jungle Sunrise. Living with a previously unreached indigenous tribe, the Amarakaeri, Williams experienced first-hand the beauty and danger of native life as he had the opportunity to share the Gospel of Jesus Christ, hunt with bows and arrows, fish with spears, navigate the rivers, and encounter every aspect of the tribe’s culture. This breathtaking scene of the Amazon serves as the backdrop for Jungle Sunrise. Williams writes and lives in North Texas with his beautiful wife, Jessica, where he pastors Body Life church and serves as the Campus Pastor for Trinity Christian Academy as he pursues a Masters of Divinity degree from Southwestern Baptist Theological Seminary. His passion and desire is to inspire readers with creativity and truth. Johan has that ONE moment. The moment of clarity. Johan is getting a second chance. He just has to use this chance and cherish it as the gift it is. Jungle Sunrise is a unique and captivating novel, written by a member of the Xtreme Team, an inimitable group of men and women who risk their lives and endure unthinkable physical deprivation while attempting to find and assist native people in the most remote areas of the world. Author Jonathan Williams has written this novel out of the rich background of that experience. He unlocks the secret of how to begin life anew, as the book’s central character moves from a depressing, directionless life to a rewarding and incomparable adventure. One warning: do not start reading until you have some time because you won’t put it down. Jonathan Williams skillfully transports the reader between two worlds in a captivating and suspenseful book. Having traveled in this setting with young missionaries seeking to reach isolated jungle tribes, I can attest to the authenticity of experiences encountered in this rich yet challenging environment. It is evident the author has been there! 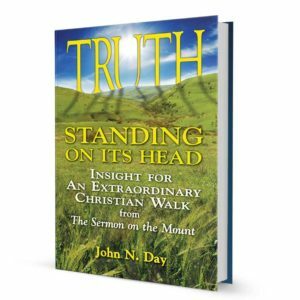 A subtle Christian testimony is effectively woven into the novel through intriguing personalities as they discover the ultimate meaning in life through trials and tragedy. I admittedly struggled with the approach to take with Jungle Sunrise. First, the conditions weren’t ideal—My review copy arrived via email, and reading off a screen automatically propels me into “editing mode.” Furthermore, trying to read while monitoring a study hall, well, has its own challenges. But the more important reason is this: Any story, whether biographical, autobiographical, or fiction-based-on-real-events, that deals directly with saints, missionaries, and martyrs creates in me emotions so deep I can’t quite articulate them. This is true whether it be the gut-wrenching Tortured for Christ, the mind-boggling collections of what Muslim converts to Christianity endure, the novel Safely Home, dedicated to the persecuted church in China, or the stunning tragedy of Beyond the Gates of Splendor and The End of the Spear (both about Jim Eliot and Nate Saint and their families). There is something in me that resonates with the writer of the book of Hebrews when he so curiously declares these men and women “men of whom the world was not worthy.” If you’ve read anything on the persecuted church—past or present—I trust you understand what I mean, because this is the very thing that Jungle Sunrise is. It’s really taken me several days to process this. Whenever a book is based off an author’s real-life experiences, I really do hesitate to criticize the unfolding of events that probably really were that out-of-this world. Christianity’s all about the supernatural anyway, right? I mean, we do maintain God came to earth as a man, ran around a strip of the Middle East for a few years, died, and came back from the dead. But I had to wonder why Williams devoted so much time to some parts of Jonah’s journey. And I think I understood: There’s a subtle development as Jonah’s experiences in the jungles of Peru begin to turn death into lif;, and it can only be seen by first watching Jonah unravel. I’m already risking spoilers in this review, so I won’t say too much more. I will say this: The jungle is amazing. In places it felt like The End of the Spear, Apocalypto, and Safely Home all rolled into one (assuming it isn’t sacrilegious to put those in one sentence)—even beginning with a jaguar hunt complete with a celebration. Williams chose a variety of characters: a feisty Spanish photographer, a snotty anthropologist, a dedicated linguist, a dead-in-the-water writer, and an energetic, lovable American missionary couple. All of that to say, I really did enjoy the story of Jonah’s adventures, which proved all-around moving, one of those that lingers awhile after the final pages turn. It’s a worthy tribute, I think, to the saints who pave the road ahead, and a tale of hope and encouragement to the rest of us—we Jonahs—coming up behind. This is a well-written, thought-provoking, and moving novel that you will speed through until you finish! The story centers around the lives of the six main characters, a missionary couple, writer, linguist, anthropologist and photographer, each with their own purpose for entering the jungles of Peru. The author follows their lives, with plenty of twist and turns along the way. It was a very entertaining, yet touching read. For Memphis and Abigail Jones, life was an adventure. Their time as missionaries to the Amarakaeri tribe in the Peruvian Amazon Jungle had presented them with great opportunity but also great risk. However, it was time to leave the Amarakaeri tribe, who was now like family, and show God’s love to a newly discovered people group, the Isconahua. Plunging into the unknown and having no idea how this new people group would receive them, the Jones left the comfort of the Amarakaeri people to face this new challenge. Meanwhile, author Jonah Frost had reached the bottom. Divorced and struggling from years of writer’s block, drunk and barely continuing to plod through each day, his brother, Noah, managed to convince him to join him on a trip to the Peruvian Amazon Jungle to study the language of the Isconahua people. The Frost brothers along with the Jones and three other people traveled together to meet, study, and photography the Isconahua. Though most were strangers with their own agenda when they started their journey, the seven united to survive the harsh jungle environment and through their adventures, Jonah slowly began to discover what it truly meant to live. Inspired by Williams’ time as a missionary, Jungle Sunrise has a strong, intriguing plot in a majestic and captivating setting. Moment of complete honesty here, I was surprised by this book. I’ll admit I wasn’t real sure how much I was going to like it. The premise sounded interesting, but I went in with a few reservations. Well, Jungle Sunrise is good. It’s actually very good. It’s not as polished as other books on the market and could have used a bit more editing, but I loved the story. It was engaging, had a strong plot, and you can’t beat the setting. The Peruvian Amazon Jungle and Williams’ experiences there carried this book. The reader is not given a romanticized picture drawn from online research but is instead presented with an insider view of both its beauty and its terror. It is obvious the author spent some time in the jungle. Many of the adventures and brushes with death seemed amazingly realistic. I could not discern which events were drawn from experience and which were a product of Williams’ imagination. Furthermore, the Jones’ lives were not portrayed as missionaries often are. Gone are the naive ideas and images so easily conjured by those of us who have never been involved in treacherous missionary work. This book presented a different side to missionary life which greatly enhanced the story’s thrill making the adventure feel more alive. A couple of parts of Jungle Sunrise make for some good contemplation. For example, it puts forth the question are evangelical missionaries destroying a culture or giving to the people? Would it be better to simply observe and take away only knowledge of who these people are rather than interact and share ideas? I loved this debate. Both sides of the argument were well presented and it added an extra layer of tension. I had never given it much thought, but this question adds another perspective to how missionaries can be viewed by those outside the church. This book does have some not so subtle evangelical messages, but they’re not overpowering. It also has a few areas that needed some additional editing, especially in the opening pages. Overall, though I enjoyed the story and the setting is simply spectacular. After all, with heart pounding hunts and near death experiences in an exotic location, what’s not to love? Jonathan Williams keeps readers on the edge of their seats in his first novel set in the Peruvian jungle. He draws from his personal experience working in Peru as a member of the Xtreme Team – a group of Baptist missionaries who face danger and deprivation to reach people in the most remote corners of the world. The story’s protagonist is Jonah Frost – an author who hits rock bottom. His linguist brother, Noah, receives an assignment to learn the language of a newly discovered Peruvian tribe and decides Jonah needs an adventure to learn to live again. The Frosts meet Memphis and Abigail Jones, a missionary couple. The four share a boat with a bitter anthropologist and a beautiful Spanish photographer for a long journey upriver. As Jonah meets danger, death, romance and renewal, he finally finds his redemption in the jungle. 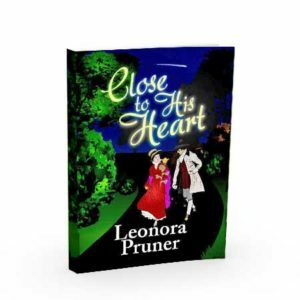 The book could have benefited from heavier editing, but the plot is so exciting and intense, it’s easy for the reader to overlook issues of style. The author certainly has interesting stories to tell. Jungle Sunrise was a surprisingly good book. I realize that is a rather cryptic statement. Allow me to explain. Christian fiction is not a genre that I get too excited about. I’ve had a hard time finding many authors who write on a level with some of my favorite secular authors. When I received this book, and found that it was not only Christian fiction, but missions fiction, I wasn’t really looking forward to reading it. But I was pleasantly surprised. 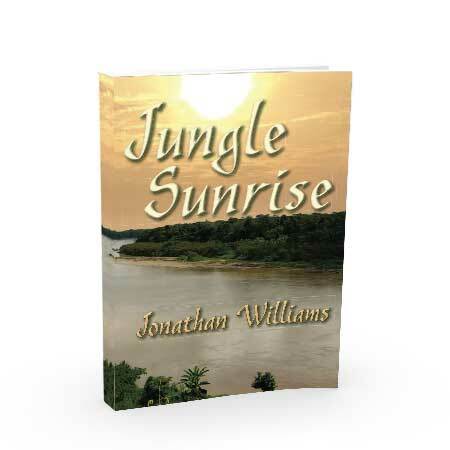 In Jungle Sunrise, Jonathan Williams tells several stories, woven into one. He tells the story of a struggling author, Jonah Frost, and his brother Noah. Jonah is an unpublished writer who can’t seem to write anything, and has turned to alcohol in order to hide. Jonah finds purpose, and something else. Another story woven into this narrative is the tale of Memphis and Abigail Jones, missionaries to an indigenous native tribe in Peru, called the Amarakaeri. They have spent the past several years living with this tribe, and are transitioning to begin working with another tribe in the Amazon jungle. A third story is of Grace Cervantes, a photographer from Madrid. She finds something unexpected while in the jungle. And finally, there is the story of Basil Cosgrove, an atheist anthropologist who disagrees with the Jones’ for bringing Christianity to these tribal people groups, changing them forever. Jungle Sunrise tells the story of these unlikely friends, traveling together into the Amazon jungle in search of a another reclusive tribe. What they find is far beyond what they ever expected. I really enjoyed Jungle Sunrise. If you enjoy something different every now and then in your reading, I suggest you give it a shot. You might be surprised, like I was. When I first saw Jungle Sunrise, I thought it was just a cliché story about life in the jungle. What I found, however, was an amazing story about adventure, sadness, and ultimately the love of Christ. Jungle Sunrise is about seven people who come together: two missionaries, a photographer, an anthropologist, a depressed writer with writer’s block, his brother, a linguist, and the boat motorist. Although each of them has separate goals, they are all headed to the same tribe of people that has recently been discovered in the Amazon Jungle. However, the anthropologist and boat motorist abandon the group, taking the boat with them. The remaining five must then live with a different tribe of people, learning their language and how to survive. They ultimately learn how to overcome tragedy and become better people. Jungle Sunrise is beautifully written, as the author explains details so well you can easily envision what’s going on. It teaches about missionary work, God, and the Amazon all at once. The characters are believable and flawed. My only complaint is that the book ends quite abruptly. Nevertheless, this is a great book I would recommend to any teenager. Its fun characters, great story, and unique settings will grab you instantly. I am an older, rather subdued sort of person, and this book took me on an amazing adventure that was an exquisite read from cover to cover. It’s the story of a young man’s salvation, of missionaries at work, of love… and of the many ways belief in the Lord transforms lives. You will be surprised by how exciting, informative, and enjoyable it is…for any age. Jonathan has a “no-holds-barred” approach to telling this story. Adventure really happens! It took a while for me to get my hands on it, but once I did, I couldn’t put it down. Unfortunately, Amazon had it advertised for a while but when we tried to order it, it was delayed for weeks. Amazon did finally ship it. I had a volunteer team bring it to me on Tuesday and finished it on Wednesday. As I stated in the title of this review, this is a very captivating story and is full of details that only a person with the author’s experience in jungle living would know. Jonathon has done a great job of weaving his first-hand experience into the story of Abigail, Memphis, Jonah, Noah, Grace, & Basil as they set out to enter the world of an uncontacted tribe in the middle of the Amazon Jungle. This story is a great read and I highly recommend it to anyone who likes to read (especially those interested in other cultures and/or missions)! 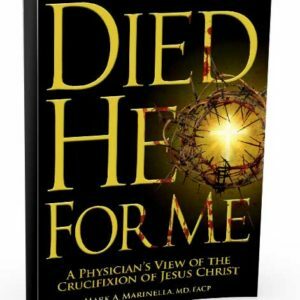 This was one of the best Christian novels that I’ve read in a very long time. The author is very good at holding your attention to lots of detail and causes you to feel like you’re right there in the action. So well written and I love the way he brings Christianity into the text. I can’t wait to see more of your writings!